The first 41 series of Later were filmed in Studio 1 at London's Television Centre, where this panoramic photo was taken. The BBC's flagship music programme is broadcast around the world. We go behind the scenes to discover the secrets of its complex sound production. Later… With Jools Holland is the longest-running live music show on British television, having just completed its 42nd series in 21 years! The first episode was produced in August 1992 as a musical spin-off from a late-night BBC2 arts magazine programme called The Late Show. Whereas the crews and production teams on most TV shows change and evolve with each new series, Later is unusual in that it has been overseen over its entire lifetime by the same core team: executive producer Mark Cooper, director Janet Fraser Crook, presenter Jools Holland, and sound supervisor Mike Felton. The series producer, Alison Howe, is a relative newcomer to the production team, having joined only in 1998! Most of the camera, sound and lighting crews, as well as the floor managers, have likewise worked on the show for years, if not decades. The core production team behind Later has remained the same for over 20 years. 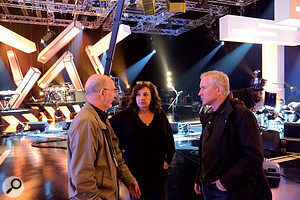 From left: Sound Supervisor Mike Felton, Director Janet Fraser Crook, and Executive Producer Mark Cooper.The benefit of this stability within the technical and production teams is that everyone is intimately familiar with how the programme works, and knows what everyone else needs to deliver consistently high standards. Watching how everyone works together reveals a very close-knit 'family', and that must play a significant part in the programme's very slick and professional production, and ultimately in its unparalleled success. The first 41 series, comprising 291 shows, were made entirely at the BBC's Television Centre (TC) in West London. Executive producer Mark Cooper has described Later as "a child of Television Centre — an exceptional product of the vast skill base and exceptional facilities that existed uniquely at TC”. One of those distinctive facilities was the capability to completely swap out huge sets and re-light the studios in a very short time. In recent years, Later has had to share TC1, the largest studio on the site, with the ever-popular Strictly Come Dancing, so the studio had been swapping entire sets and rigs on a weekly basis: Strictly moving in on the Thursday and over the weekend, then moving out for Later on the Monday and Tuesday. There aren't many TV studio complexes in the world that could manage that week after week! Late in 2012, however, Television Centre was closed down for redevelopment as a hotel and leisure complex (though the current rebuilding plans include the retention of three TV studios within the redeveloped complex, and the BBC has stated that it will return and make programmes at TC in the future), presenting a huge problem for the continuation of the series. The Later show is a massive technical challenge in every respect: five or six live acts appear every week, each requiring its own independent stage monitoring, and typically generating between 120 and 160 separate audio sources for the TV sound console. The presence of a large audience distributed around the corners of the studio between the band stages necessitates the use of four independent audience PA areas, as well as flown foldback monitors for the studio floor. There is also lots of flown scenery, of course, and pretty much the whole of the studio floor area has to be lit, much of it with noisy moving lights. Continuing the series in the absence of Television Centre meant finding a full High-Definition TV studio in or near London with a sufficiently large floor area, adequate audience-handling facilities, appropriate sound desk capacity and features, the facility to broadcast live onto BBC2 (for the live 30 minute Later Live show on Tuesday night), and the ability to load out six or more bands late at night. The shortlist of possible studio venues was, unsurprisingly, very short! In the end, Maidstone Studio 5 was chosen, and the first series of eight shows has just been completed at this new location — a huge green 'shed' at the former TVS broadcast headquarters on the outskirts of Maidstone in Kent. I went along to view the penultimate edition (Show 42-7) filmed on 28th May 2013 and featuring Beady Eye, Deap Vally, KT Tunstall, OMD, Miguel Jontel Pimentel and George the Poet. This was a moderately sized show as far as channel count was concerned, totalling a mere 141 stage sources! The BBC's way of doing things, and the facilities taken for granted at TC, weren't necessarily available at Maidstone Studio 5, but the local management and engineering teams have been extremely accommodating in tweaking and enhancing their facilities to suit Later's slightly unusual requirements. One example concerned the sound gallery (BBC-speak for 'sound control room') monitoring speakers. Mike Felton was not happy with the existing monitors in the Maidstone studios, and was used to ATC SCM100s at Television Centre, so the local management acquired a set of ATC SCM50s (there isn't really space for the larger version), and are even planning to rebuild the room with a revised layout and better acoustics before the next series starts! One very significant difference in studio infrastructures is that whereas the TC studios have saturation hoist-lighting systems that can be re-rigged relatively quickly and easily, Maidstone Studio 5 employs fixed lighting trusses. The result is that rigging and de-rigging each week would be totally impractical, so the lighting and scenery pieces have to be left in place for the entire series run — something that would have been unheard of in Television Centre's heyday! Another important change is that whereas TC studios were more or less square, Maidstone Studio 5 is a long rectangle. So instead of positioning one band stage along each wall, with the audience distributed around the four corners, the opportunity was taken to use a slightly different band stage arrangement. In general, a large band is set up on the long wall nearest the production suite (known as Wall 1 in TV studio parlance), with two smaller bands positioned on separate stage areas along the opposite long back wall (Wall 3). Another large band occupies the left-hand end short wall (Wall 2) and Jools's piano and interview area is down at the other short wall (Wall 4). Small-scale acoustic performances are rigged and de-rigged on the centre of the floor, and the audience occupies L-shaped stands in the corners. In the case of Show 42-7, OMD were set up on Wall 2, with Deap Vally and Miguel on the back Wall 3, and Beady Eye on Wall 1. KT Tunstall was set in the middle of the floor, and George the Poet performed in front of Jools's piano. Mike has evolved a very sophisticated but elegant way of working, which starts with meticulously detailed planning of everything from the mic selection and connections, through the desk configurations and channel layouts, and on to bespoke crib sheets on which he notes final group fader positions and other critical balance or cue information for each song. The process starts about a week before each programme's recording date, whenhe receives a list of confirmed acts from Alison Howe and Mark Cooper. Usually, they are acts which are currently touring and performing live, and are thus well rehearsed and have defined technical requirements. Mike then liaises with the bands' own sound engineers to obtain their channel lists and stage layouts. Since each band only plays two or three songs during the programme, the required channel list is often simpler than the full set used on the concert stage… but equally, sometimes a band will decide to include a real string section or choir, just because they can! 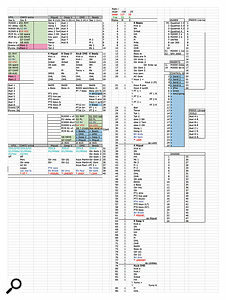 Mike enters all this information into an elaborate spreadsheet and, from that, produces various lists detailing any additional mics or equipment that needs to be hired in to supplement the standard kit, and the equipment layout and plugging requirements for each stage. He also produces a resource list for the Studer console, cataloguing the number of mono and stereo signal paths required to allow it to be configured correctly, and even generates a text file that can be imported into the desk to create the channel names — saving a lot of time on the rig day. 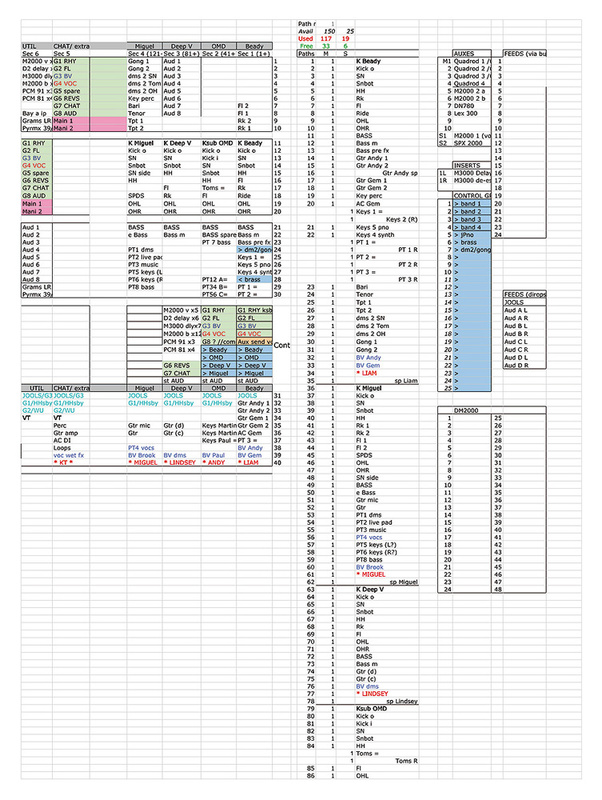 Mike Felton generates comprehensive spreadsheets for each show, detailing what sources will be going through what mics and desk channels. In addition to the bands' requirements, every show always uses eight audience mics — two spaced AKG C451s above each of the four audience stands — two mics for Jools's piano, and 12 radio mics. The last comprise four Sennheiser personal mics for Jools and up to three interviewees, plus two additional personal mics and two handhelds for any other artists that require them. The handhelds are wireless versions of the Neumann KMS105 vocal mic, and four Shure radio mics are also available, one for an emergency standby, one for the pre-show warm-up artist, and two spares. In the case of Show 42-7, OMD's 32 stage sources were connected to a rack of 40 BSS splitters and shared between the band's own monitor desk and one of three Studer I/O boxes on the studio floor (in the middle of Wall 2). 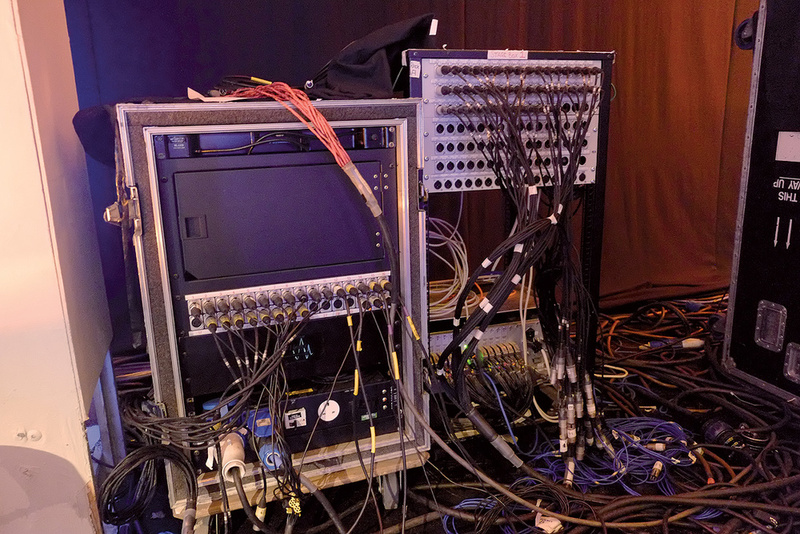 The two adjacent stages for Deap Vally (15 sources) and Miguel (26 sources) each had a separate 32-channel splitter rack feeding their own monitor desks, all hired from JHL, with the broadcast feeds routed to a second Studer I/O rack on Wall 3. KT Tunstall's centre-floor position (with six sources) was also wired back to Deap Vally's splitter rack. The most complex act as far as channel sources was concerned was Beady Eye: the band's own splitters and monitor desk were used, with 43 sources going to a third Studer I/O crate on Wall 1. To provide maximum flexibility with minimal mic-wrangling time, a generic mic setup has evolved for the drum kits, with both internal and external kick-drum mics, top and bottom snare mics, a hi-hat mic and separate mics for each rack tom, plus a pair of overheads. The bass guitar usually appears as two sources (amp and DI), and then there will be all the other instrument mics and DIs for guitars, keyboards, string and brass sections (as applicable), plus lead and backing vocal mics. The show I watched was quite atypical, in that several acts used pre-recorded backing tracks coming off dedicated Pro Tools rigs. In general, all of the acts on Later play everything live: what you hear is normally what you see on stage. However, some of the more complicated acts employ some pre-recorded backing elements, and Beady Eye and OMD both provided three stereo elements, while Miguel had eight mono elements. These backing tracks carried things like additional drum, bass and keyboard parts for OMD, additional brass sections and pad parts for Beady Eye, and extra drum and bass parts, plus an archive voice-over and some backing vocals for Miguel. For several series now, the BBC has broadcast two versions of each Later episode. The pre-recorded Friday night Later… With Jools Holland programme is broadcast at around 23.00 on BBC2 and BBC2-HD, and runs for a little over an hour. A completely separate, 30-minute Later Live… With Jools Holland programme is shot and broadcast live on Tuesday evening at 22.00, again on BBC2 and BBC2-HD. The Friday show is actually recorded 'as live' in one continuous take on the Tuesday evening — it's very rare that the recording has to be stopped for retakes — and it is edited to length on Wednesday. Post-production is minimal and there is no remixing. With all the bands fully warmed up and buzzing after the long 'as live' recording, they then perform again — sometimes repeating the same songs and sometimes performing different songs — for the shorter live broadcast. Unusually, on the night I visited, this half-hour show was actually taped and broadcast instead on the following Wednesday evening, apparently to make space for a rescheduled The Apprentice: You're Fired! In all cases, the sound is mixed straight to stereo, and the live Tuesday show goes out with that stereo mix on both BBC2 and BBC2-HD. However, in addition to the live stereo mix, a set of stems and some individual tracks are recorded to a Pyramix DAW, and that is used in post-production to build a 5.1 surround mix for the Friday show — it's more reformatting rather than remixing. Since this long version of the show is sold all around the world, the audio post-production process also takes care of any unacceptable expletives in the lyrics or interviews (see the 'Post-production' box). Television only really works well if every aspect is planned down to the tiniest detail: because there are so many people involved doing so many different things, everyone needs to know precisely what is needed and for when. 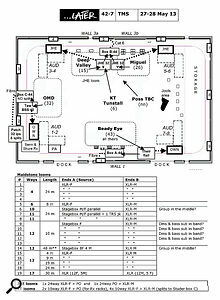 So the stagehands need plans of the stage sets and scenery, the lighting crews need plans of the lighting setups, the sound crew need plans of the sound rigs, the camera crew need shot cards detailing camera positions and moves, and the production team need song lyrics and timings so they can plan the programme structure and camera direction. The keystone to all these plans is the timetable for each show's production, which typically starts at 08.30 on Monday morning with rigging and lighting the band stage areas. Mike Felton's stage layout for Show 42-7. The lighting rig and flown scenery are hung from nine huge static trusses which have to be accessed from mobile hydraulic lifts. To make setting the lighting a lot faster and easier, a lot of moving lights are employed, but these produce a surprisingly high level of background noise in the studio. That isn't usually a problem during the band performances, but it can be an issue during interviews and for the quieter acoustic acts, and it's something that has to be dealt with in the sound mix. By 11.00, a live sound rental company called John Henry's Ltd (JHL) are loading in their stage monitoring equipment, and some of the main band's backline and foldback gear will also have arrived and will have been loaded in. JHL have been working with Later since the very beginning, providing and operating most of the monitor consoles and foldback equipment for each band, although some bands prefer to use their own equipment. 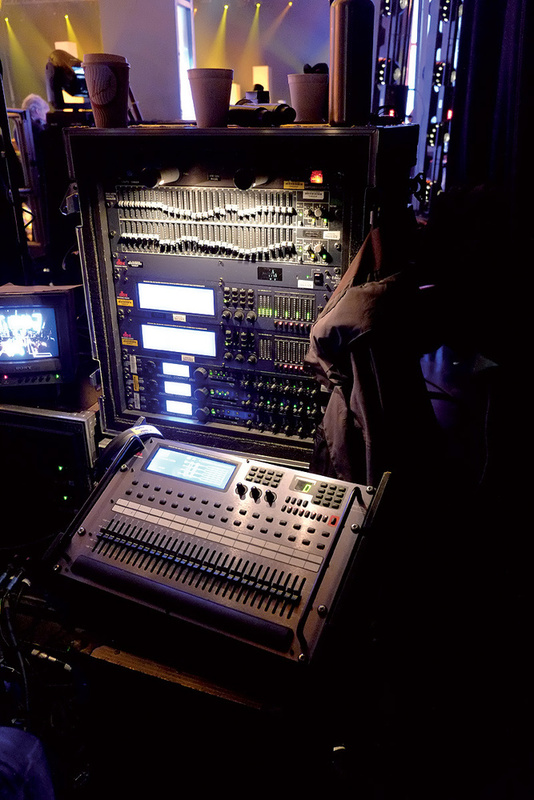 The JHL crews understand the requirements of the TV people, and their experienced monitor engineers can sort out the musicians' foldback needs independently and concurrently while the TV sound crew concentrates on the things that pertain exclusively to the TV production. 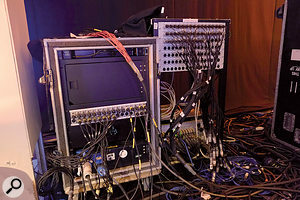 The TV sound crews rig and position the mics, and plug up the splitters and studio wall-boxes according to comprehensive plans that Mike Felton creates in advance of each show. 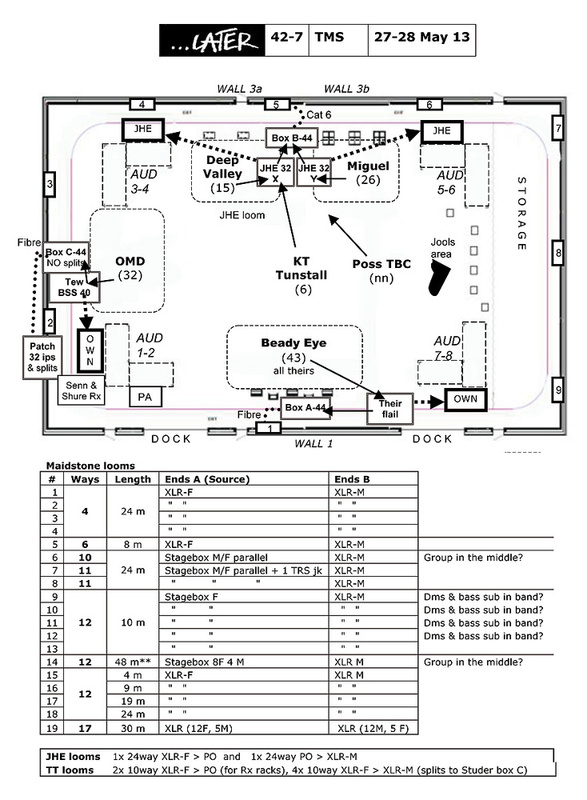 Separate planning sheets for each band include a diagram of the stage layout and the names of each musician, every required sound source and its stage box channel, mic and mic stand type (including a dedicated spare channel), a list of the songs being performed, and the scheduled time for the sound check. In this way, the floor crew know exactly what they need to do, and Mike and his assistant Tudor Davies know exactly what to expect in the sound gallery. By 12.30, most of the bands' stages will be rigged and everything checked through to the sound gallery, and the crews then take a well-earned lunch break. 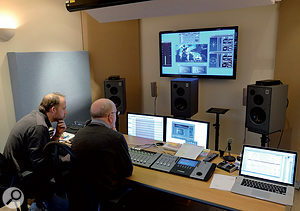 Mike Felton (right) and Tudor Davies in the post-production edit suite at ACE Post-Production. Any remaining band backline gear is loaded in and set up immediately after lunch, just before the proper soundchecks start at 14.30 prompt. Each band is allocated just one hour to sort everything out, and during this time, the monitor engineer for each band has to establish the required foldback mixes to keep the performers happy while Mike Felton in the sound gallery simultaneously sets mic levels, basic EQ and dynamics processing, and creates an initial rough balance. In reality, by the time the monitor engineer and band are happy with their stage setup, Mike's lucky to get half an hour to hear the full band ensemble, so the pressure is definitely on! This is where a long and varied career as a TV Sound Supervisor pays dividends, as he relies on his vast experience (and a time-proven desk configuration) to get up and running very quickly. During these soundchecks the Production Assistants (PAs) time the songs and confirm the song structures, which are often subtly different to the notes they have already prepared from the bands' CD releases. The recording of each song is uploaded by Tudor to DropBox, and within minutes the PAs have them on their phones for further reference. The second band starts soundchecking at 15.30, and the sound crews work hard to stick to the schedule because things can quickly spiral out of control if they don't. After a short crew tea-break (if things are going well! ), the third, fourth and fifth bands take their turns for soundchecks, usually finishing at around 19.00. That's usually it for the sound crew, and the lighting team then have free rein of the studio to finesse their lighting. 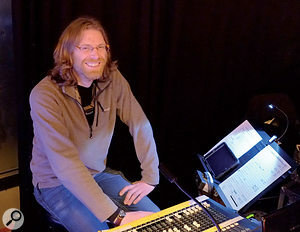 Often Mike and Tudor continue for a while rigging any additional effects equipment needed for a specific sound, and completing the desk configuration. Mike Felton at the Studer Vista digital console used to mix Later. On the Tuesday morning, any remaining band equipment — usually for the 'acoustic' artist who performs in the centre of the floor — is brought in, set up and soundchecked, and then the camera crews come in and rig their equipment at 11.00. The entire crew takes an early lunch so that full rehearsals can start promptly at 12.30. During the camera rehearsals, each band plays all the songs they will be performing in the two shows, usually managing two or three renditions of each one in the allotted time. During my visit, OMD were given 70 minutes to rehearse three songs, followed immediately by Deap Vally with 50 minutes for two songs. KT Tunstall rehearsed two songs in 40 minutes, and then Miguel did three songs in 70 minutes. Finally, Beady Eye ran through their three songs in 70 minutes, finishing at about 17.30. The Later show is typically captured with six manually operated cameras, one of which is normally on a crane. Director Janet Fraser Crook and her production team plan every shot of every song meticulously — which camera, looking at which artist, and with what kind of development — and all choreographed to the bar, beat and lyric of every song! A production assistant counts the bar numbers and shot numbers into the talkback system throughout each song so that the vision mixer and camera operators know exactly where they are in the script, and everything is practised and perfected in minute detail during Tuesday's comprehensive rehearsals. Watching the camera operators and their small army of 'cable bashers' weaving around each other to reach the required positions for every planned shot, and then quickly repositioning to the other end of the studio ready for the next band in advance of Jools's perambulations across the studio floor is as complex, bewildering and beautiful as a skilfully choreographed ballet! It really is a work of art to behold, and demonstrates the result of years of finely honed specialist craft skills and superb teamwork. 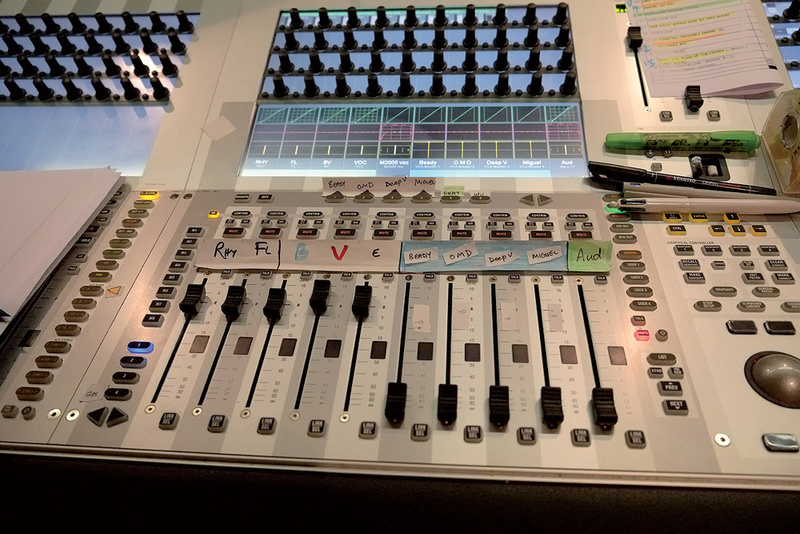 The Vista console has recallable digital EQ and dynamics on every channel, which Mike Felton puts to good use.These camera rehearsals are also the only chance Mike has to build and fine-tune his mixes. 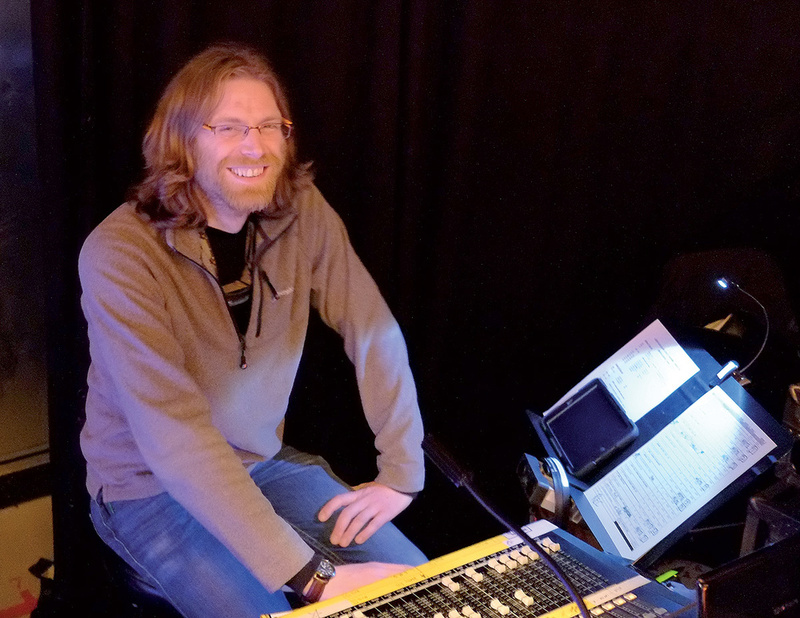 Often the band's live engineer comes into the sound gallery to offer advice about who is playing what in each song, and what sources maybe shouldn't be prominent in the mix! Once Mike is happy, he saves relevant console settings for each song as a selective 'snapshot'. At 17.30, everyone takes their evening meal break, during which time Jool's piano is tuned and final 'titivations' are carried out in the studio. However, by 18.30 the studio is alive once again, as the complex choreography of camera moves needed for Jools Holland's introductions and links is worked out and rehearsed. The studio audience, which has been gathering in a large marquee outside, is brought in at 20.00. A 'warm-up' artist explains what to do if a meteorite should crash through the roof(! ), and then introduces the various artists and performers. Apparently, the audience attending this series is noticeably different from that for previous shows — I was told they're more enthusiastic and less cynical than those at TC. Given the effort required to get out to Maidstone, perhaps they are more serious and committed music fans! Mic/source-level splitters are used to derive separate signals for broadcast and monitor mixes. At 20.20 the studio's red lights go on, initially to record some promotional 'trailers', and then at 20.30 the full Friday show starts in earnest — the only time the show runs in sequence. The pre-recorded opening titles are played in, the audience applauds, Jools leaps in front of a camera to introduce the first band, and Beady Eye start their first number. 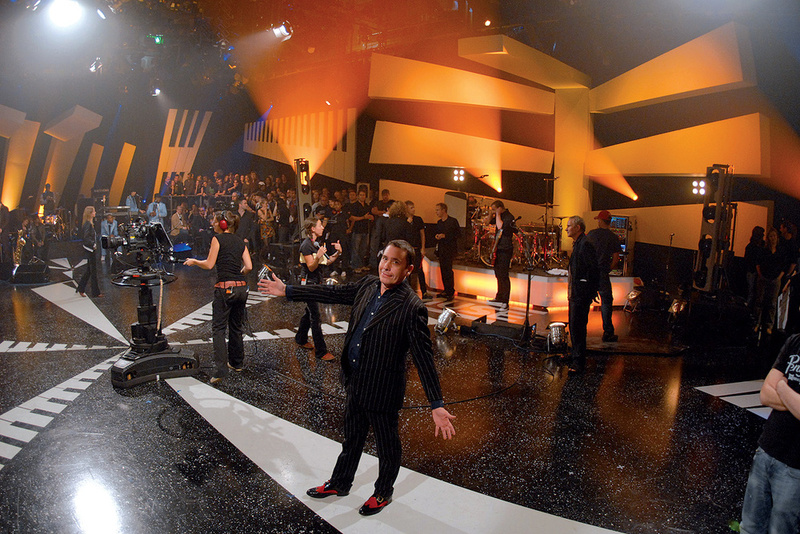 In between some of the bands' performances, Jools squeezes in a couple of interviews with band members and other celebrities in the audience. These are allowed to take their natural course, rather than being time-constrained, and that provides the flexibility needed to edit the programme subsequently to the specific duration required by BBC2's transmission schedule. As a result, the programme recording takes a little longer than the broadcast programme, but everything is usually wrapped up by 21.40. Some of the audience dash out for a 'comfort break', but there's no time for the crews to relax, as they're busy resetting for the live half-hour programme. The opening sequence and links are quickly rehearsed, the audience is corralled back into the studio, and at 22.00 the red lights go on for the live broadcast, during which Mike uses a CEDAR DNS1500 dialogue noise suppressor to reduce background noise on Jools's links and interviews. 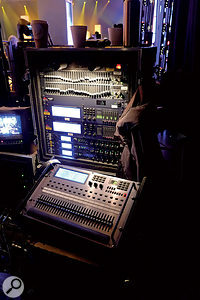 Mike Felton and Tudor Davies rely on a relatively small selection of external hardware effects units. Even though the main programme is recorded 'as live', everyone knows that mistakes can be fixed if necessary. However, the fact that the Later Live edition really is a live broadcast seems to focus minds just that little bit more. The atmosphere is tangibly more electric, and the performances shine just a little bit brighter! At 22.30, the last item having finished, Mike fades out the applause as the PAs count down to zero and the programme comes off air to the second. The red lights go off and it's all over. Very occasionally, something might need to be re-recorded while the audience is still present, for example if there was a technical problem or a performance mistake in the main Friday night show. However, since sound from all the camera rehearsals is recorded anyway, there's usually enough material to patch the odd mishap. With the 'all clear' given, the audience are escorted off the premises by a small army of security staff, and a fleet of lorries line up to load the bands' equipment. Tour buses and taxis whisk the artists to their hotels (or the next dates in their tours), and the TV crews de-rig and clear everything away ready for next week. I've always thought that the mark of a true professional is the way he or she makes something that's incredibly difficult, complicated and challenging look remarkably easy — and Mike certainly does that. But while he gives the impression of swan-like serenity, there is a lot of paddling under the surface. Mixing a one-hour live TV show with, in effect, only 20 minutes of rehearsal time for each song — and with audience expectations of release-quality CD-style mixes that may have taken weeks to perfect — is not for the faint-hearted. Live-sound engineers might have a similar workload and turnaround, but their audience can't rewind and nit-pick the balances afterwards! The production of Later works like a well-oiled machine, thanks to its highly skilled, experienced production and technical teams. I'd like to express my thanks to Mike, Tudor and the sound crew for their hospitality, as well as to Mark and Janet for their cooperation and assistance. Mike Felton joined the BBC in 1962 and became a Sound Supervisor in 1980. Having worked on pretty much every TV genre in his time, Mike has made music his speciality and is very highly regarded in his field. Although retiring from the BBC in 2004, Mike continues to work as a specialist freelance TV music balancer, working on a variety of high-profile BBC music programmes, including BBC4 Sessions, Mercury Music Prize and the Glastonbury Festival. Mike's preferred mixing desk for this kind of programme is the Studer Vista digital console, in this case a Vista 8 with five fader bays accommodating 10 faders each. Mike Felton's desk layout is configured to give him a VCA fader for each act (right). The five subgroup faders to the left control, respectively, Rhythm, Front Line, Backing vocals, Main vocals and Effects. Mike has evolved a desk arrangement that affords maximum control in a relatively simple layout that works well under the high-pressure atmosphere of live broadcasting. 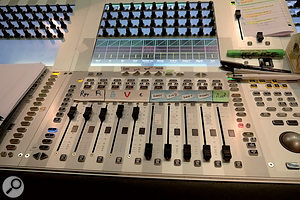 In essence, each band's sources are set up on a separate fader layer — there being six available in the Vista 8 — and routed to a set of physical mix buses which are controlled from four audio group faders in the desk's centre section, alongside a further audio group for the audience mics and four control group (VCA) faders for the main bands. For the show I saw, Beady Eye's sources were allocated to layer 1, OMD's to layer 2, Deap Vally's to layer 3 along with the outboard effects returns, and Miguel's to layer 4. Layer 5 accommodated KT Tunstall's and George the Poet's sources, along with Jools' piano and the interview mics. It also carries the audio sub-groups and main outputs. Layer 6 hosts the audience mics. In addition, Mike sets up every layer with a duplicate fader for Jools' mic so that his links can be managed seamlessly regardless of which layer is active at any one time. Each layer is controlled by its own VCA fader, so that each band's output can be faded up or down on a single fader, and a fifth VCA controls a stereo mix of the audience mics. 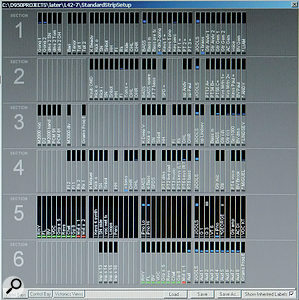 This screenshot from the Vista console shows the configuration and labelling of the six fader layers. Layer 1 (top) presents Beady Eye's sources and layer 2 OMD's; layer 3 hosts Deap Vally's sources and the effects returns, layer 4 is devoted to Miguel Jontel Pimentel's sources, while KT Tunstall, George the Poet and Jools Holland's piano appear on layer 5. The last layer contains the audience mics. The stage sources from each band are routed to one of four stereo audio subgroups: Rhythm (drums, bass and so on), Front Line (guitars and soloists), backing vocals and main vocals. From these stems, Mike can fine-tune the balance. Maintaining a common layout helps to make live mixing more instinctive, so each layer is laid out with the drum-kit mics towards the left-hand side, followed by the bass and keyboards, brass section and so on moving across to the right. Lead instruments and lead vocals are usually on the right-hand side. The faders in the console's centre section control the five stereo audio subgroups and four VCA faders. This arrangement, which Mike has honed over the years, keeps the critical source faders — lead guitars and vocals — under his right hand, while the group faders and VCAs fall under his left hand. With some pre-fade compression dialled in to the vocal groups, this gives Mike the option of pulling the channel faders under his right hand to drive more level into the compressors, or pulling the group faders to get more level after. During the camera rehearsals, Mike recalls each band's fader layer and opens the relevant VCA fader to build the mix. When he's happy with the balance for each song, he pulls the VCA fader back to -40dB or so, and then saves a snapshot of the channel fader, EQ, dynamics, and effects-send settings for that specific song. When that snapshot is recalled during the programme, the relevant VCA fader jumps slightly off the backstop, providing a useful cue to remind Mike which band to fade up next! The snapshot is configured to record only a particular band's channels and group faders, but nothing else on the desk, so that other levels don't change when snapshots are recalled during Jools's links. In addition to the saved snapshots, Mike also has a crib sheet for each song, on which he notes any required group fader offsets and reminders about solos or other critical details. After completing the camera rehearsals, and with snapshots saved for every song from each band, Mike and colleague Tudor Davies re-order the console's snapshot cue list to provide the correct sequence for both the long Friday show, and the following live programme. They also allocate MIDI programme change numbers to each snapshot, which are used to recall the appropriate vocal reverb settings previously set and stored for each song on a TC Electronic M2000 effects processor. The Studer console is set up with eight effects sends to an outboard rack containing Lexicon PCM81 and 91 units, and two TC Electronic M2000s, along with a TC M-One, D-Two and M3000. In the early years of Later, Mike and his assistant stored individual effects settings on each effects unit for every song, and had to recall the patch changes manually during Jools's links! These days, Mike favours a set of fairly generic effects and delays which are available at all times, the selection and levels for each song being determined by the console's aux-send settings. Only the vocal reverb is routinely changed for each song. 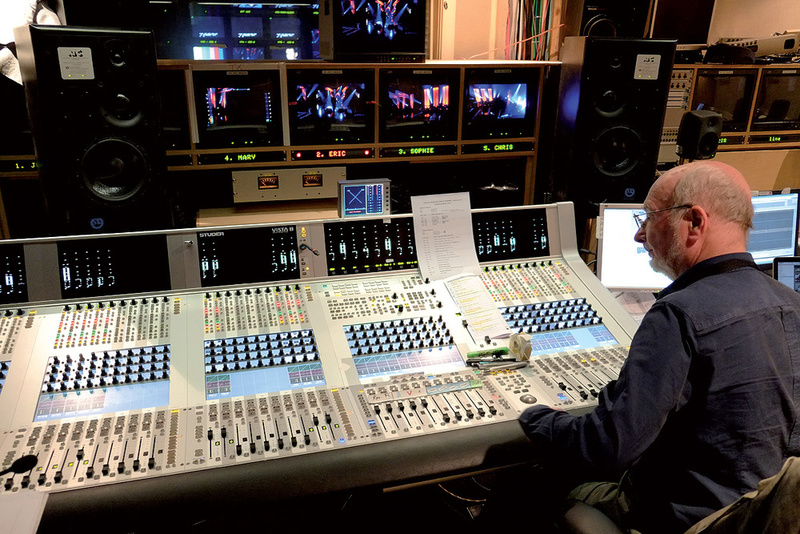 As the programme is being recorded, Tudor increments the console snapshots during Jools's links between each act, while Mike wrangles the faders and recalls the relevant fader layers. Later's audio post-production takes place in the same building as the video editing: a facility called ACE Post-Production in Scrubs Lane, West London. The audio post suite was designed and built by Tudor Davies, and the setup revolves around a Pyramix DAW with Euphonix Artist Series control surfaces (two MC Mix panels and an MC Control panel). The monitor speakers are Harbeth Monitor 30.1s driven by Flying Mole amplifiers and, in addition to a pair of LCD screens behind the desk displaying the Pyramix windows, a large LCD TV mounted on the wall presents the programme video and metering. 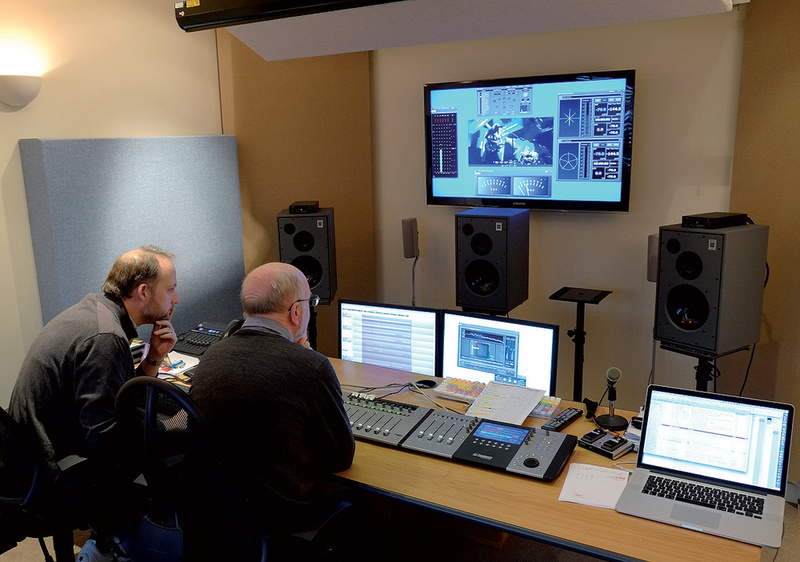 Tudor Davies' post-production suite employs Euphonix Artist controllers and a surround setup of Harbeth Monitor 30 speakers. The programme's video editing is fairly minimal, and occurs in two stages. The first step is to cut the programme down to the required transmission duration by editing the interviews, and the second is to 'polish' the visuals by dropping in a few alternative angles and close-ups. Several of the cameras are recorded independently of the vision-mixed programme, so there is usually plenty of alternative material available. The duration edit is done on Wednesday morning, normally by producer Alison Howe, and once the programme length has been defined, an EDL (edit decision list) and an initial video export are sent over the building's Ethernet network to the audio post suite. 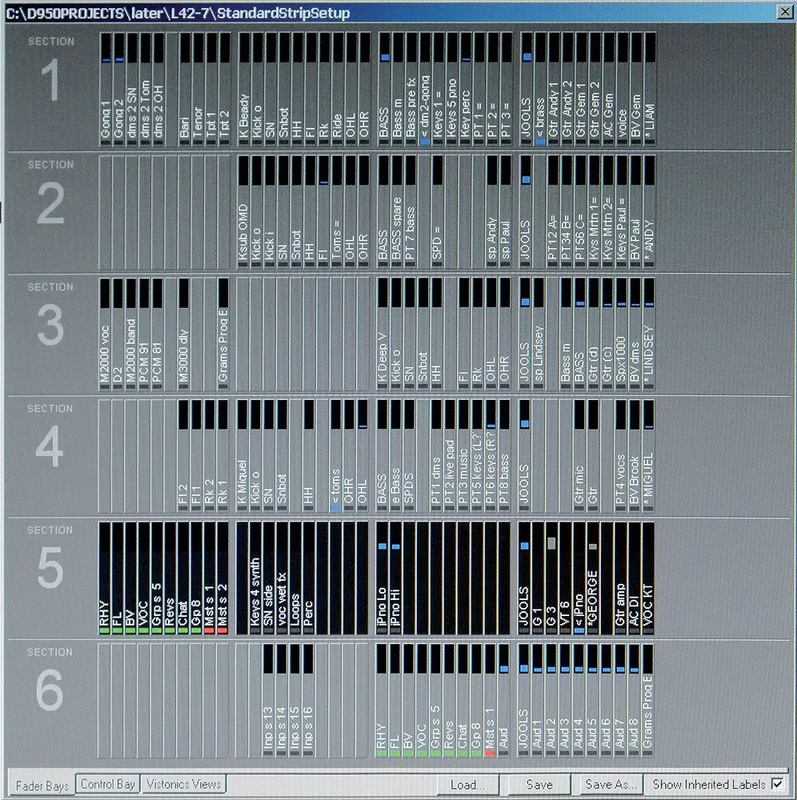 This EDL is used by Pyramix to automatically 'conform' the recorded programme audio files onto the final programme's timecode, which means that all of the audio is aligned with the appropriate pictures, and all the interview edits are in the right place, so the audio post-production can then be started. There are 32 source tracks on the Pyramix, recorded from the Studer console during the show. 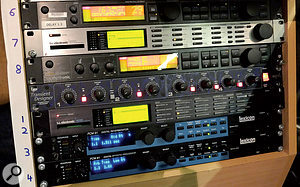 These comprise the five stereo stems (Rhythm, Front Line, Backing Vocals, Lead Vocals and reverbs), along with direct feeds from any videotape inserts, Jools's piano mics, all the presenter and guest radio mics, all the audience mics, and various other effects or additional sources that might be useful during the surround mix. The audio post-production is as minimally invasive as the video editing, and in essence, only involves four elements: tidying up the interview edits, removing any inappropriate language from the lyrics or interviews, reducing any unwanted background noise (mainly moving-light noise from the interviews), and creating the 5.1 surround mix (see box). The first three are usually very straightforward, and are tackled before the surround mix can begin. The interview speech edits generally just require some crossfade tweaking, but often the audience reactions also need to be smoothed over the edits. Inappropriate language is usually simply muted or attenuated, and unwanted background noise is reduced using a CEDAR DNS 1500 dialogue noise suppressor, an amazingly powerful digital processor that combines multi-band expansion and filtering to clean up dialogue in real time. Occasionally, spectral editing is used to clean up annoying hums or buzzes too, but all of this audio manipulation is typically completed within an hour or two. While this sound post-production is going on, the video editor works with director Janet Fraser Crook to polish the pictures, dropping in extra cutaways and close-ups, and when the sound mix is completed, the 5.1 and stereo files are rendered to be continuous and exported over the building network to be laid back onto the finished video. Currently, the programme is delivered to the BBC for broadcast on a physical HDCamSR digital video tape, with both discrete channel and Dolby E-encoded surround and stereo sound mixes. Working for broadcast in HD surround means keeping an eye on numerous meters! The technique that Mike Felton and Tudor Davies have developed for the 5.1 mix is very elegant, and basically revolves around a minor rebalance of the individual mix stems created during the live show, performed as a more or less continuous remix running through the edited programme. In the early days of Later, Mike produced 5.0 mixes, but some American broadcasters thought, wrongly, that they weren't getting all the channels they had paid for, and that the absent LFE channel meant nothing would come out of the subwoofers of their audience's domestic surround systems! So these days Mike mixes a minimal amount of low bass, filtered from the main channels into the LFE — irrelevant in audio terms, but it makes the meters move! In terms of the surround soundstage, the original studio mix is a straight stereo balance which is pretty much copied onto the front left and right channels. Over the years, Mike has experimented with what should be placed into the centre speaker; misaligned home surround systems can easily upset the delicate balance between vocals, snare, bass and kick drum if some of these elements are present in the left-right pair and others in the centre. However, while putting all of these elements exclusively in the centre locks their relative balance nicely, it can also lead to very high peak levels in the centre channel, and that can result in unwanted automatic dynamic-range reduction in domestic Dolby Digital decoders (Mike sets the Dolby DRC metadata to 'none' to avoid this problem, but often broadcasters impose their own default metadata instead). So a compromise arrangement is to put vocals, snare, kick and bass mainly in the centre channel, but also allow some divergence to the left-and right to share the load a bit. Everything else is generally spread across the left and right channels as simple stereo. The rear-channel elements come entirely from the audience mics and reverbs, but the complexity here is that the audience mic panning and routing has to be changed for each act to maintain the correct acoustic perspectives. This is achieved by creating four separate 4.0 (ie. contributing to the left/right front and left/right rear buses only) audience mixes, with different routings for each studio wall. The idea is that the mics above the audience on either side of a performing stage feed the front channels, while those above the audience stands in the more distant corners of the studio feed the rear channels, giving a good sense of space, perspective and the impression of 'being there'. 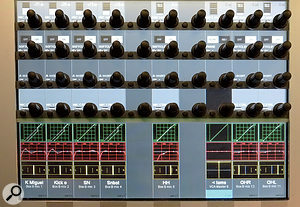 Each of the four audience mixes is controlled by a separate VCA fader on the Euphonix Artist control surface, so that the appropriate balance can be faded up for each act through the show. In addition to these four audience faders, the rhythm, front line, backing vocals, lead vocals, and effects stems are also arranged on the Artist Mix Controller's faders, along with the mics for Jools and his interviewees. If the faders are positioned at unity, the resulting mix will be a surround version of the original stereo balance, but working in this way gives Mike the option to rebalance things slightly if needed. It's similar to the idea of using the Trim mode of a fader automation system to fine-tune an already established mix. The balance tweaks Mike introduces usually involve things like pulling up the rear surround audience mics a bit if the audience start clapping along, or adjusting the fade-in on Jools's links if he jumps in a tad early. Mike prefers to monitor mainly in stereo, and listens primarily to the 'downmix' of the 5.1 surround buses. The reason for this approach is that the stereo downmix is the more critical — it's easy to get something to sound good in surround, but much harder to get the downmix to work well too! However, he does regularly check the surround mix, especially when there is strong audience reaction, or where the surround balance could differ from the norm. The surround mix and derived stereo downmix are both recorded directly back into the Pyramix on a set of eight channels as the dubbing progresses, and if the mix goes wrong at any stage, it's a simple matter to stop, roll back, and drop into Record again. 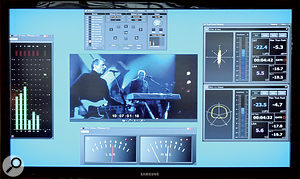 On the large TV monitor, and surrounding the programme video screen, several different forms of metering are displayed. As an old-school BBC sound supervisor, Mike's meter of choice is the venerable twin-twin PPM display, in this case generated by Z-plane's excellent PPMulator plug-in. This meters the stereo downmix, with left/right levels on one meter, and Mid/Sides levels on the other. Mike aims to peak the music to PPM6, and Jools's dialogue to about PPM4. 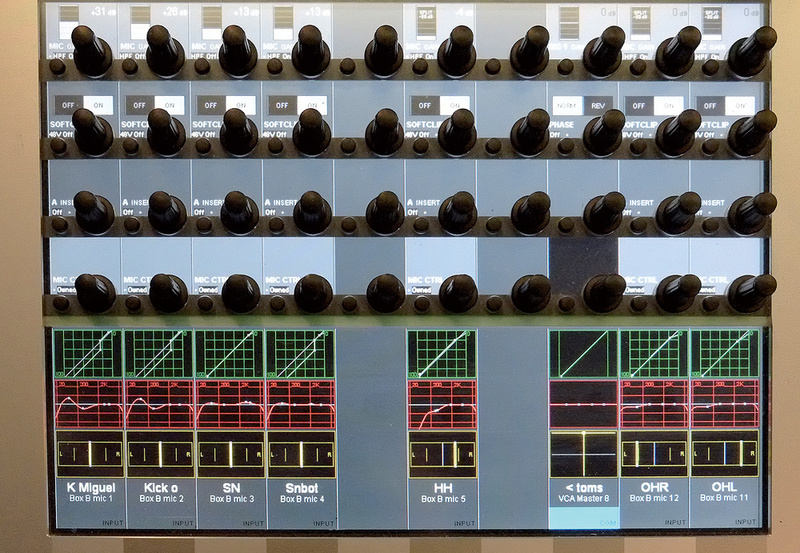 Another PPMulator display shows bar-graph meters for the 5.1 mix levels. The BBC's delivery specifications for HD material require the audio to conform to the new ITU-R BS1770 loudness standard, so Mike relies upon two Pyramix loudness meters, one for the stereo downmix and the other for the 5.1 mix. The loudness target level integrated across the whole programme is -23LUFS, and Mike's mixes have a loudness range of about 6.0. Although the main audience for Later is at the other end of the TV transmission, much of its live atmosphere comes from the presence of a studio audience. Gafyn Owen's job is to ensure that the complex house PA system delivers good sound throughout the large studio, without compromising the broadcast sound. To satisfy and stimulate the audience, chunky EAW KF730 PA cabinets are flown above each audience section, with EAW SB1000 subs and Funktion One AX88 fills, powered by QSC amps. These are controlled by Gafyn Owen from a Yamaha LS9-32 console provided with feeds of the main group stems from the TV console, and splits of Jools's and the interview mics, VT playback, and other relevant sources. 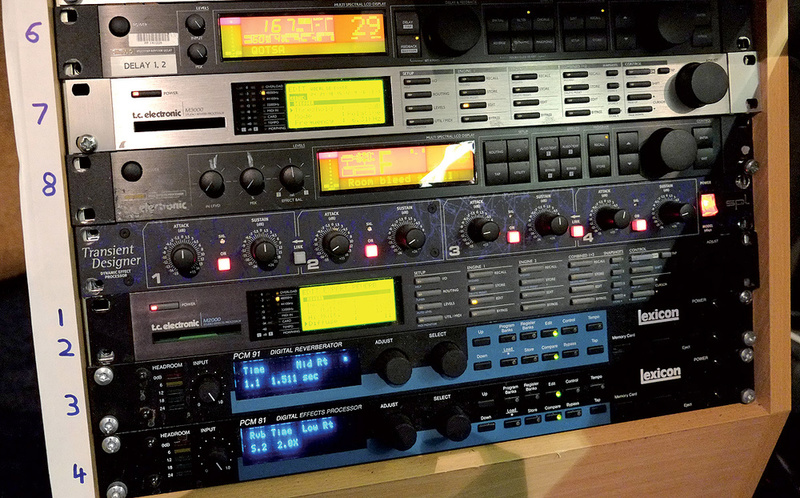 The PA is managed with DBX Driverack 4800 and BSS Omnidrive Compact Plus system controllers. Controlling the audience PA is more complex than it might appear, not least because the relative delay of each of the four systems has to be adjusted depending on which band is playing, so the audience hears time-coincident contributions from each stage and the local PA. Gafyn also has to be very careful not to allow PA spill to compromise the TV sound, but with so much stage backline and monitor sound in the room anyway, it's really a case of filling in any missing parts to ensure intelligibility. Because the space is large and the audience scattered, variable delays are needed on each group of PA speakers. Adding further to the complexity of Gafyn's role, there are also two more flown Funktion One Res 2 monitors in opposite corners pointing down onto the centre of the studio floor, as well as another flown AX88 in the centre of the studio and some Radian floor wedges to provide some foldback of Jools's own mic which reassure him that the audience can hear his links! Mike Felton's sound crew comprises four people on the studio floor, plus an assistant in the sound gallery. 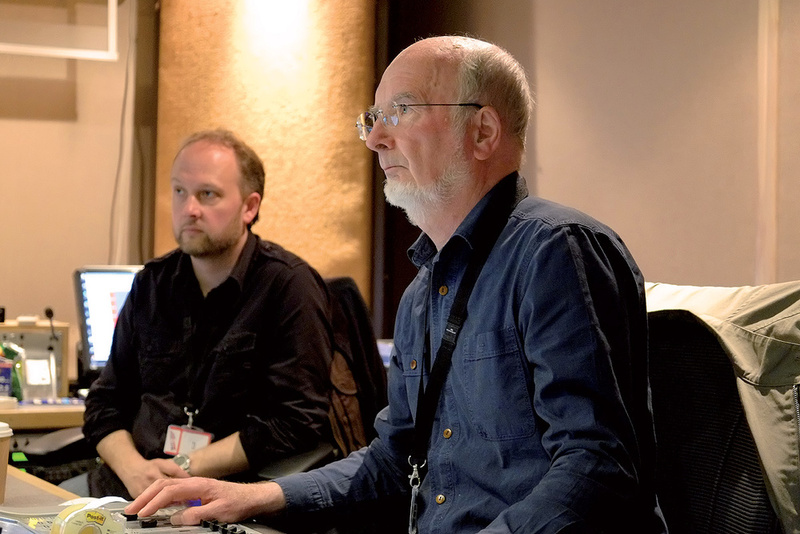 The latter is Tudor Davies, who is a 'co-sound supervisor' and an invaluable second pair of eyes and ears in the control room. He also runs the control room infrastructure and services to production — setting up hired-in artist-specific effects processors, helping to set up the Studer console, looking after the Pyramix DAW recording the desk stems and iso tracks for post-production, and recording the band rehearsals into a pair of Adobe Audition DAWs, then editing and exporting each song to MP3 players the production assistants use to work out timings, bar counts and shot calls. Tudor also owns and runs the audio post-production suite used by the programme. There are four regular members of the studio floor team, all BBC-trained and very experienced. Ian Turner is the crew leader and Gafyn Owen looks after the studio PA during the show. Carol Pawlett and Chris Healey make up the 'classic four', but Matt Price, Judith Healey and Marco Centore are called on when substitutes are required. The floor crew mike up the bands and fit radio mics on Jools and his guests. They also manage the Monday soundchecks on the floor, and take care of setting in and out the acoustic ensembles in the middle of the studio floor during the programme on Tuesday.